If you talk to [someone] in a language [he or she] understands, that goes to [the person’s] head. If you talk to [somebody] in [his or her] language, that goes to [the] heart. International Mother Language Day (IMLD) is a worldwide annual observance held on 21 February to promote awareness of linguistic and cultural diversity and promote multilingualism. First announced by UNESCO on 17 November 1999. Being exposed to the existence of other languages increases the perception that the world is populated by people who not only speak differently from oneself but whose cultures and philosophies are other than one’s own. Perhaps travel cannot prevent bigotry but by demonstrating that all people cry, laugh, eat, worry and die, it can introduce the idea that if we try to understand each other, we may even become friends. Language has social, cultural, spatial and even temporal implications. It is at once personal and public. 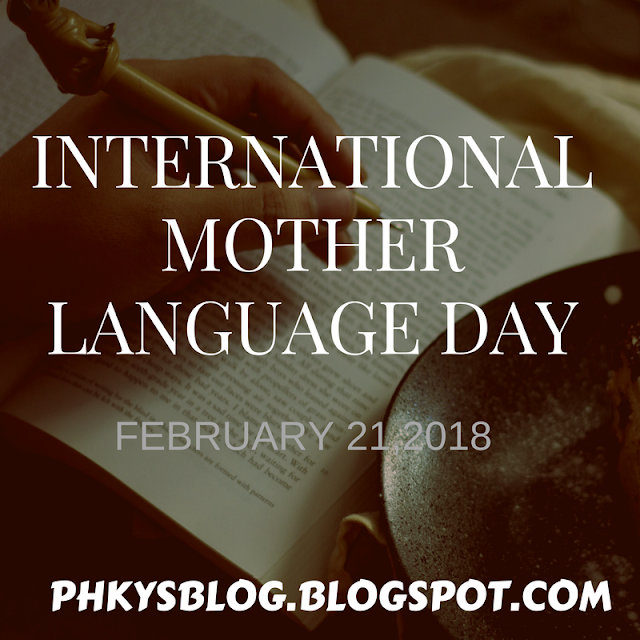 In order to celebrate different languages and promote linguistic and cultural diversity, February 21 has been celebrated as World Mother Language Day, since 2000. Language, much like society, evolves with time. Some words lose relevance, while others are created. Of those, several go on to be used more and more frequently. The English language too has evolved and many of the words today's generations use might sound bizarre to their predecessors, but they have become an integral part of modern lexicon. This year, UNESCO commemorates the 70th anniversary of the Universal Declaration of Human Rights and its bold statement that ‘no discrimination can be made on the basis of language’, and celebrates its translation into more thanno discrimination can be made on the basis of language’, and celebrates its translation into more than 500 languages. The day also promotes mother tongue-based multilingual education, particularly in early years of schooling, and its development in public life.